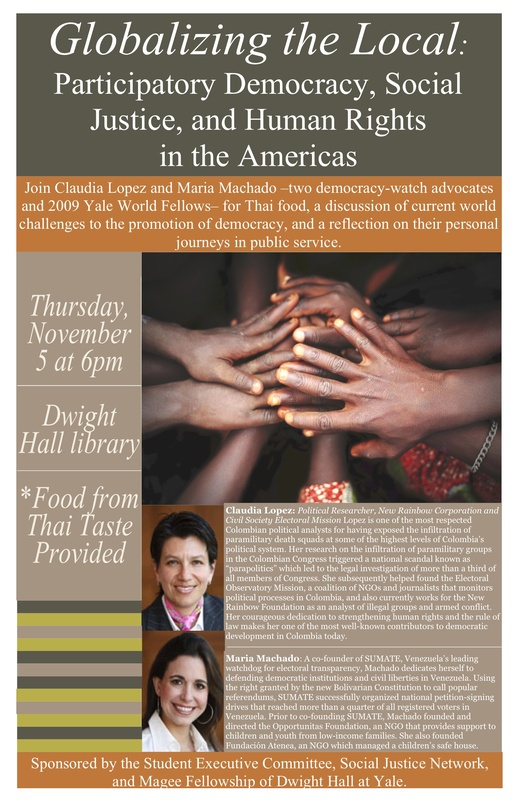 The Social Justice Network will be hosting an event on social justice and democracy featuring two world fellows who have worked extensively on social justice in Latin America. I assure you that this is a must-see talk. Thai food will also be provided. Additionally, please check out the conference on doing business in the Middle East, sponsored by the Arab Students Association, McKinsey and Co, and more. Finally, if you remember getting third place at the county science fair from studying mold on toilets, you should check out how to get involved as a judge and mentor for the New Haven Science Fair.